10th POSEIDON ATHENS HALF MARATHON (21-04-2019 11:30 am) The 10th International Poseidon Athens Half Marathon, the great athletic event aiming to raise awareness regarding diabetes and obesity, will be held on Sunday, April 21st, 2019. With the phrase “Everyone is a winner” as its moto, the event includes several races apart from the HalfMarathon race such as a Relay Half Marathon race (2 runners), a Quarter Marathon race, a Fun Run, a Power Walking race, the Chiquita Athens Kids Run and a Charity Run. The courses make their way past the most beautiful spots of the coastline at Faliro area. In the case of the Half Marathon race, these include among others the Nautical Tradition Park, the battleship Averof, the trireme “Olympias”, the Water Square, the Park of Kallithea and Esplanada. The finish line for all races is in the track of the Cultural and Sports Centre of the Municipality of Palaio Faliro. Apart from the races, various other events will also take place from April 19th to April 21st, 2019, inviting everyone to participate. The event is under the auspices of the Municipality of Palaio Faliro, the Municipality of Alimos, the Attica Region, the Greek National Tourism Organisation, the Hellenic Diabetes Association (EDE), the Hellenic Olympics Academy (ΕΘΝ.Ο.Α. ), the Hellenic Police, the Hellenic Association of Mass Popular Sports & Ultra Running Clubs (EOSLMA-Y) and the European Federation “Sports for All” (UESpT). To register and for more information, please visit the official site of the Poseidon Athens Half Marathon: www.poseidon-athenshalfmarathon.com/en. EXHIB: "1904 HOLIDAY SNAPS" (04-05-2019 6:00 pm) The exhibition “1904 Holiday Snaps” will present for the first time the photographs Alexander Lamont Henderson took in Greece in 1904. Alexander Lamont Henderson (1838-1907) was a photographer who was distinguished for his services by Queen Victoria of Britain and a member of the Royal Photographic Society. The information related to his life and work is poor as his "royal" images were destroyed after the death of Queen Victoria and his "commercial" work which was donated to the library of the London Guildhall Museum in 1907 was destroyed in 1940's bombing. A set of what he himself called "Holiday snaps" could possibly be the only part of his work that is saved nowadays. It consists of photographs taken between 1884 and 1906 during his trips in Mediterranean countries. The exhibition will present for the first time the photographs he took in Greece in 1904. His lens turns away from the iconographic stereotypes of the time and depicts scenes from everyday life in the city with the vendors being the protagonists. 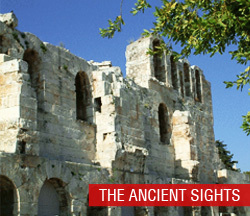 The images taken inside the royal palaces in Athens and Tatoi are also of great interest. The selection of themes will be based on 86 exemplary glass plates (diapositives) which were recently kindly donated to the Benaki Museum Photographic Archives. Duration: 12/12/2018 - 04/05/2019 .Opening Hours: Wednesday, Thursday, Friday, Saturday: 10:00 - 18:00. For more information, please visit the official website of the Benaki Museum. 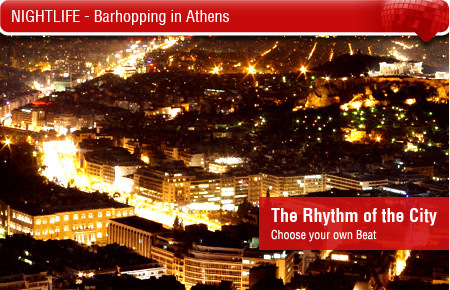 Venue: The Ghika Gallery, Kriezotou Street 3, 106 71 Athens. 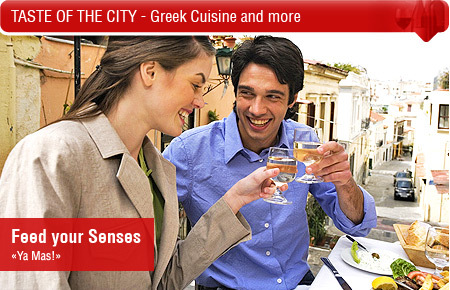 Those visiting Athens will discover a shopping haven that easily suits the needs of almost any pocketbook. Explore quaint tourist shops in the ancient parts of the city or upper-scale boutiques and malls. Depending on what kind of style, location or price range you are looking at. Countless blue beaches await those who need a break from the hustle and bustle of the city. 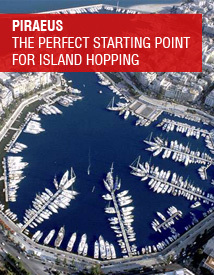 Many of these spots provide a number of land and water sports. Check out our proposes.